Have you been wondering where old Shults got off to after posting his 'coming out' blog? Well, wonder no longer. 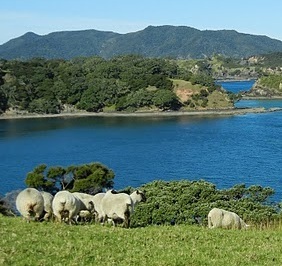 I was traipsing about in New Zealand, enjoying a 2-month sabbatical. I was thinking more about green-lipped musselsand Sauvignon Blanc than I was about mission-critical computing and Intel! I've been involved with server database technology since 1982, when I joined Andersen Consulting fresh out of Rice University (go Owls!). Andersen (now Accenture taught me how to 'do mission critical' on mainframes and UNIX minicomputers. At Andersen, I experienced a Eureka! moment when I discovered on a project that the rather limited 386-based PC's of the day, properly networked and running early versions of Oracle and SQL Server (then from Sybase) were capable, in the right hands, of running the same core enterprise applications that Andersen's customers had been paying so much money to build and run on mainframes! Thinking that PC's just might be a better way of doing things, I suggested to the Andersen hierarchy that it might be worth pursuing. They disagreed. So I left to become CTO of a client/server startup - Business Systems Group. That led to getting noticed by Intel, and here I am. Almost 20 years later, I'm still here, much to my surprise! I'm still here because I'm still excited about the server technology that Intel continues to create. I'll be using this blog to tell you about some of that technology and why it might be relevant to you. While it's true that it's Intel's name on my paycheck, I aim to avoid too much product-speak. There's too much of that in this industry. Having spent a decade on the implementor's side of the technology table, I think I have some idea of what you're facing out there. Pauline is something of a legend in the mission-critical server industry segment. She'll provide the overall perspective on all things mission-critical and Intel. I'll focus on the intersection between business strategy and Intel mission-critical server technology. Our colleague Wally Pereira fills out the troika with a focus on practical implementation issues from his position on the front lines of Intel-based mission-critical solution deployment. Much of my focus will be on database technology, since the database management function is so fundamental to essentially ALL mission-critical deployments. I don't pretend to have the industry contacts and deep technical savvy of a guru like Kurt Monash of DBMS2 fame, but I think I bring a useful perspective when it comes to interpreting the events and trends of the database community as they impact the mission-critical-on-Intel community - in other words, YOU! Please let me know through your comments if I'm hitting the mark. In the coming weeks and months, I'll be blogging on at least the following topics. Oracle's Larry Ellison has caused a bit of a stir lately by announcing that Oracle will be halting new development for the Itanium processor and HP-UX. You may not know that IBM's DB2 runs very well on the Itanium platform, and the latest version directly supports almost 100% of Oracle-proprietary database syntax. You could have more options than you thought! DBMS's have always loved memory. But only recently has memory become big enough, cheap enough, and reliable enough for users to contemplate putting the ENTIRE DATABASE in memory, and using disk only for archival storage and recovery. Innovative DBMS vendors are delivering technology to take advantage of big memory, and they're getting interesting results. Big memory is good for both high-throughput transaction processing and analytics. But the near-term opportunity is probably analytics, particularly of the real-time variety. Big Memory and Semantic Databases: A 'Beyond SQL' breakthrough that matters? Ever heard of 'triplestores' and the 'Semantic Web'? Neither had I, until recently. Then I ran across a small company whose technology is enabling some big customers to do some very big, innovative things. I'll tell you more about it in this blog. Please suggest others that you'd like to see. And let's make this conversation active and interesting, shall we? - If you comment, I promise to respond as quick as I can. Previous article:No cloud in the sky? Not a problem. We will create our own!